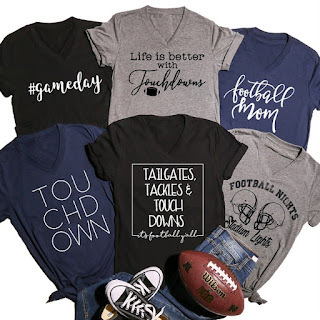 Loving these Trendy Football Tees ONLY 13.99 (Retail $28.99). Designs: Designs are in the ink colors shown. We do not recommend ordering a black design on a black or navy tee or a white design on a white tee. We do not alter the design colors from what is shown.